For author J. A. 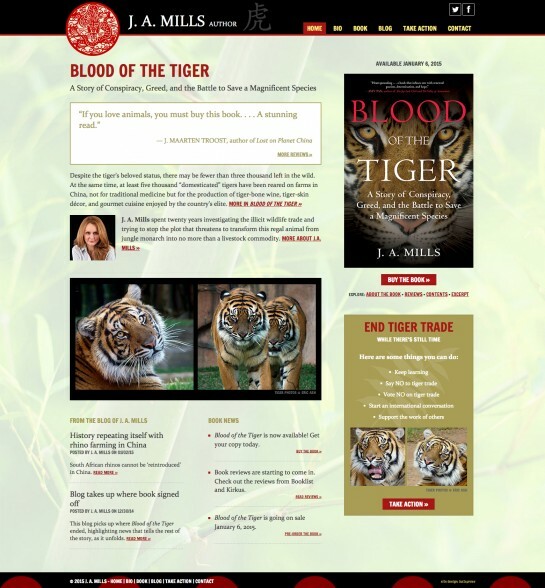 Mills we designed and built a site to feature her non-fiction book Blood of the Tiger. The site, built in WordPress, features a blog, as well as a resource section for readers to "Take Action" to help wild tigers.